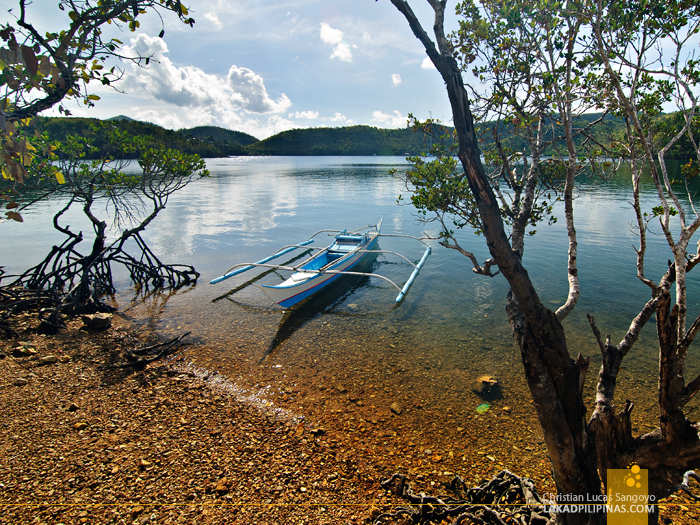 The sun shone bright, basking the Bay of Busuanga in hues of blues. 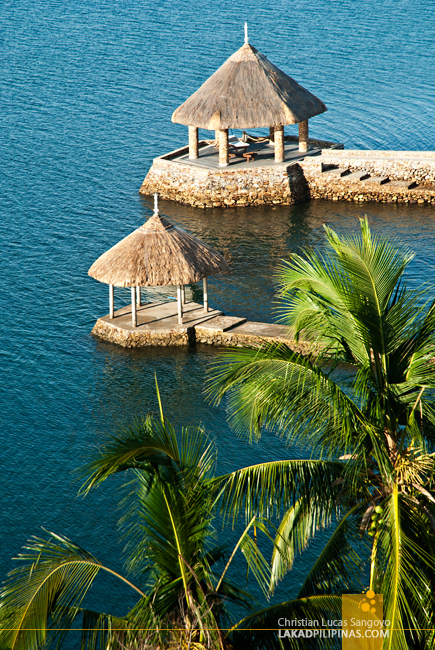 From the resort’s infinity pool, I surveyed the calm azure waters of the bay. It was gonna be a fine day, I mused. It was the third day of PHILTOA’s Northern Palawan Eco-Adventure Discovery Tour and we just spent the night at Busuanga Bay Lodge. But this is hardly a lodge. 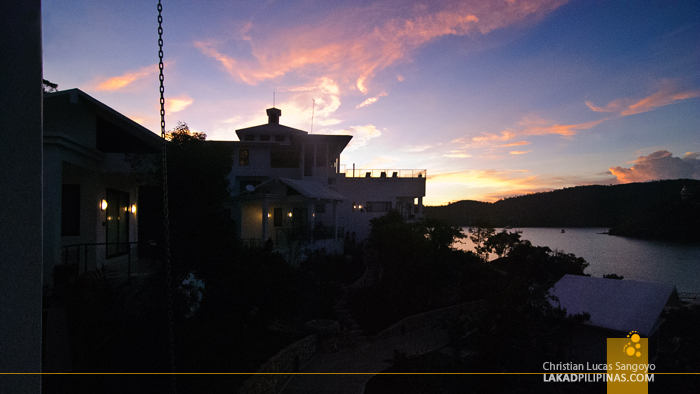 From where I was standing, I can see the modern concrete casitas of Busuanga Bay Lodge, blinding in its whiteness, dotting the hill it was perched on. 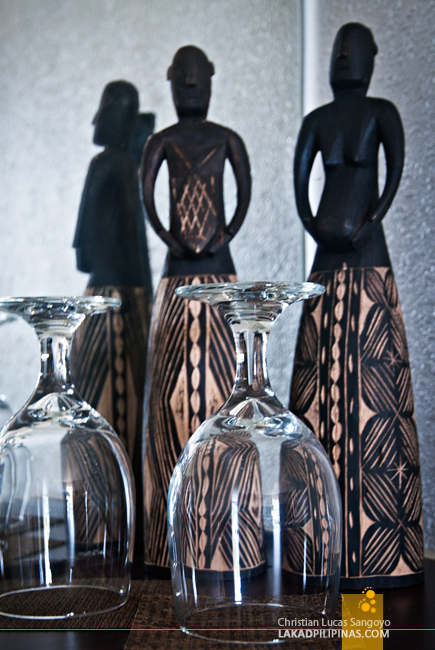 It was almost Santorini-esque in its simple yet elegant beauty. 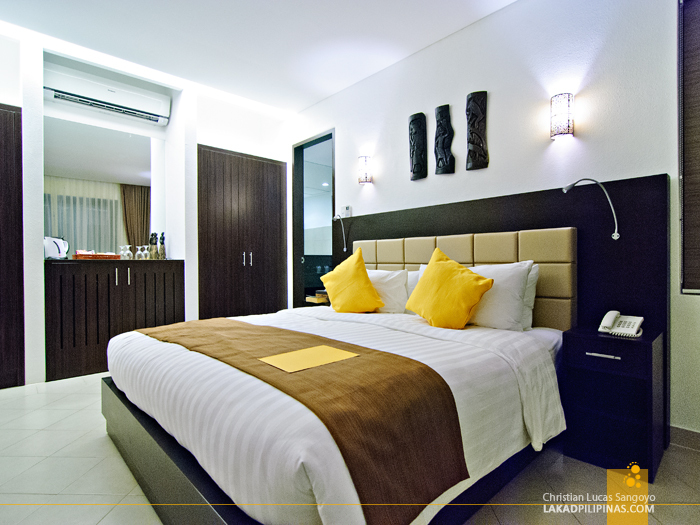 Inside, one can immediately see that this is not a resort that caters to tourists on a budget. In fact, a night at this four-star resort will cost you Php11,000.00 during peak season; that’s more than my budget for an out of the country trip! Mirroring its facade, the casitas reflect the same white elegance of its exterior; almost devoid of any décor besides the few wood carvings typical of Palawan’s Tagbanua ethnic group. The king bed that cradled us for the night was comfortable, there’s a 42-inch flat screen cable television complete with digital movies, an iPod dock should you feel the need for music, a safe, and a mini-bar where you can eat and drink everything—free of charge. The toilet and bath is spacious, its counter made of granite. 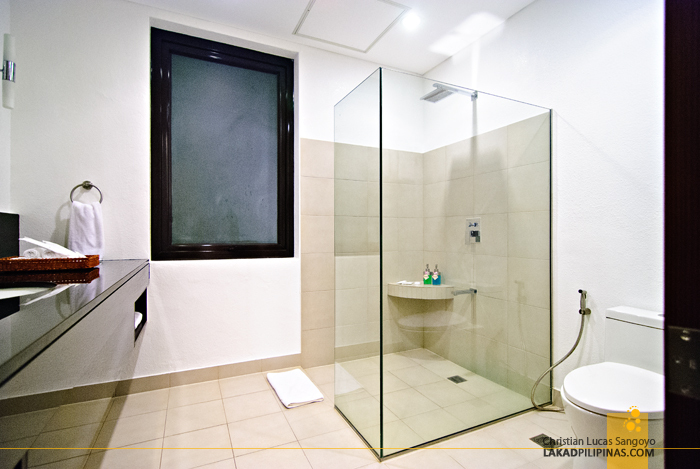 There’s a rain-shower and the usual toiletries typical for a resort of this caliber. Hot water (solar-powered) is available for guests, a luxury for this part of Palawan since electricity hasn’t reach this area of the province yet. 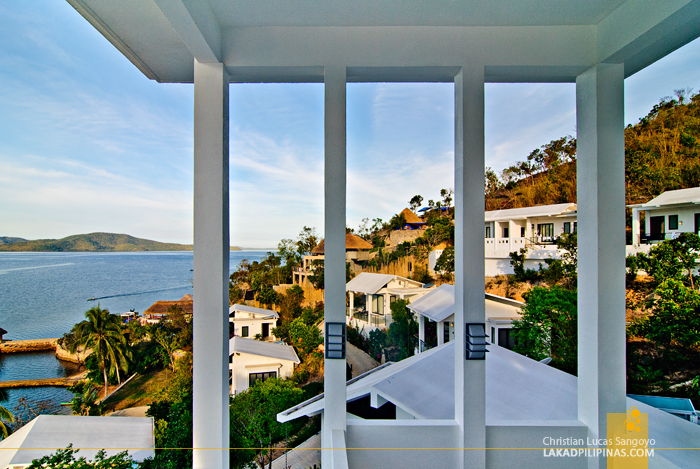 The whole room looks over Busuanga’s Puerto del Sol Bay, thanks to the floor to ceiling glass window that fronts the casitas. Each unit has its own veranda, perfect for early risers wanting to have a cup of coffee while watching the sun rise. And rise early we did. 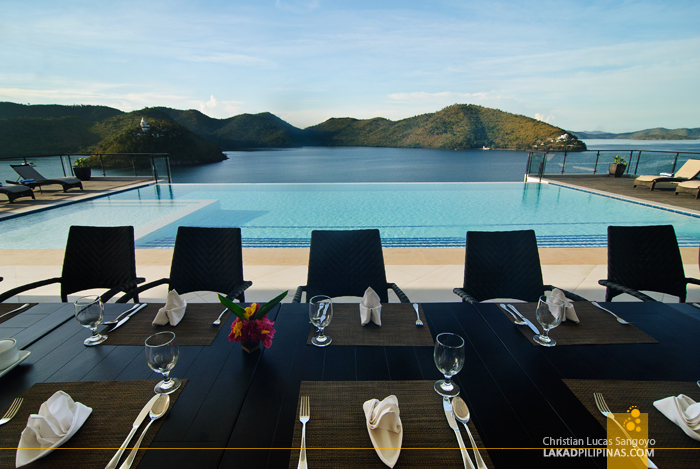 We have a busy day ahead of us and breakfast was waiting at the main hall of Busuanga Bay Lodge. With our orders taken the prior night, all we have to do was sit and wait for it to be served. 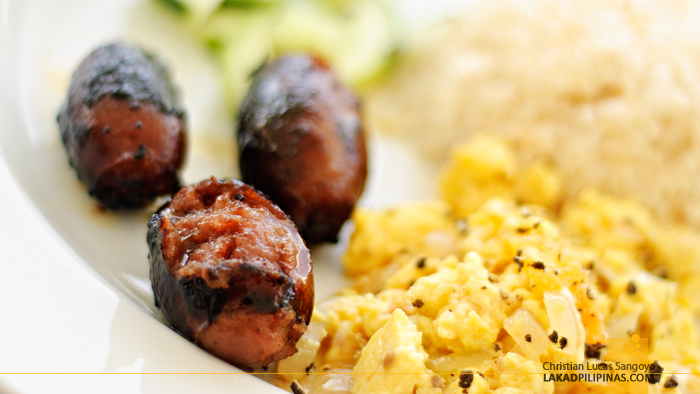 Busuanga Bay Lodge doesn’t offer breakfast buffets, instead they serve plated typical Filipino silogs. Choices range from tapa, longganisa, tocino, bangus and corned beef; I chose their longsilog on a heartbeat. 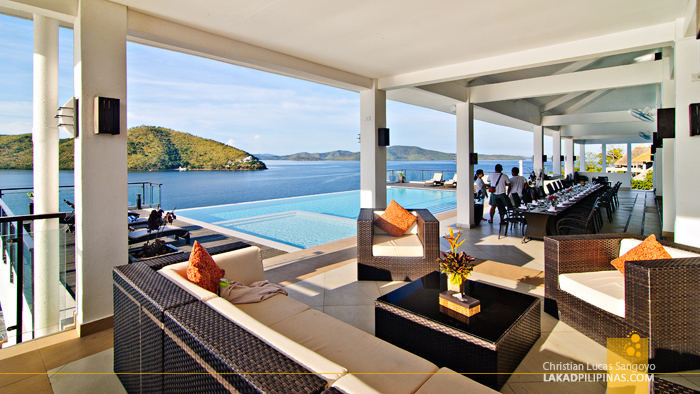 The restaurant and bar is located in Busuanga Bay Lodge’s reception hall. The Clubhouse as they dub it, it is strategically located on the top of the hill and has an airy lounge that looks over the whole of the Puerto del Sol Bay. 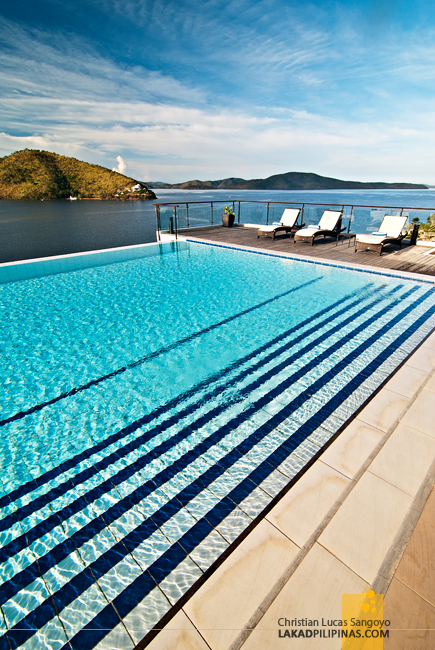 This is also where the fifteen-meter infinity pool is perched, its water mimicking the blues of the bay. It was just unfortunate that we have a very limited time and I wasn’t able to take even a five-minute dip. It’s a good thing too that Busuanga Bay Lodge decided to include a really nice swimming pool in their resort as even though they offer island tours, they really don’t have a proper beach at the foot of their property. The one I saw when I went exploring is a bit on the rocky side. 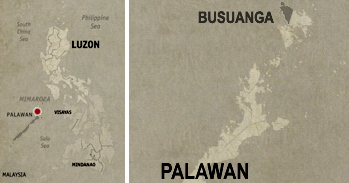 It wasn’t long before we were being called back to the Clubhouse again; it was time to move to the town of Coron. Going down the resort’s winding paths was easy, but going back up to my room to pick up my stuff is a pain. A pain that’s worth every step though. 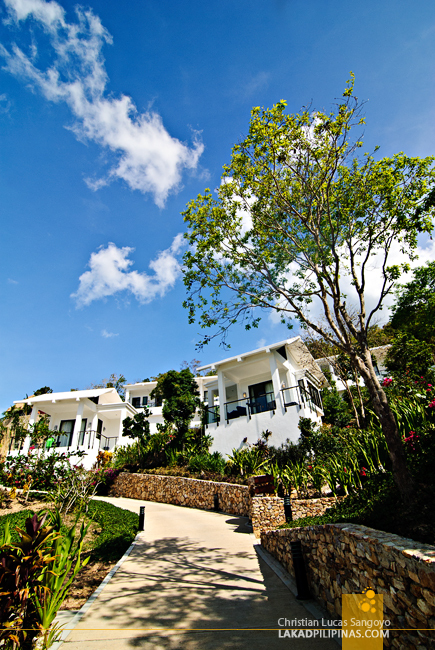 Busuanga Bay Lodge easily tops my list as one of the most beautiful resorts I’ve been to in Palawan.